Intricately detailed and hand-painted with white armor! Limited edition of 500 pieces! Collect the relentless, emotionless enforcers of the USB's dystopian society in 1:4 scale! The Total Recall Synth 1:4 Scale Statue features the robot at 19 1/2-inches tall in museum-quality detail. The statue is made from polystone and displays the robot in the white armor of the standard units seen throughout the Total Recall remake movie. Limited edition of 500 pieces. 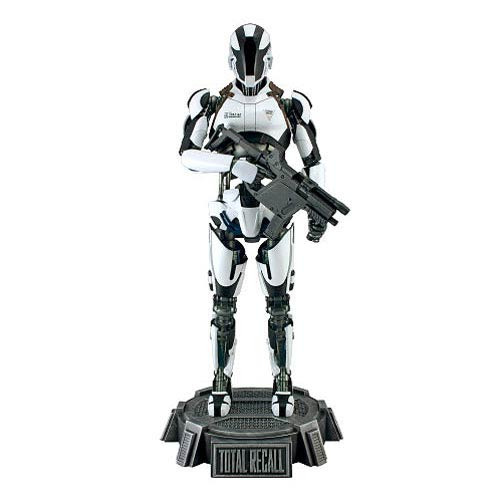 The Total Recall Synth 1:4 Scale Statue features a silver base that includes the movie logo and title. Ages 14 and up.